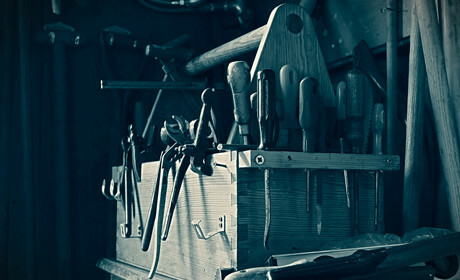 Tools have always come from the need to carry out a specific task more effectively. It's one of the main differences between human beings and the rest of the animal kingdom. We may still be slaves to the same old evolutionary urges but we sure know how to eat noodles in style. In journalism, an abstract tool for uncovering the most interesting and insightful information about society, we can generally boil the workflow down to four stages: finding, reporting, producing and distributing stories. So with that in mind, here are a range of tools which will – hopefully – help you carry out your journalism tasks more effectively. A somewhat simplistic start to the list, maybe, but Google has many tricks that every self-respecting journalist should be taking advantage of. While it is very good for a spot of online shopping, journalists need to learn a few tweaks and tips to improve their searching with the use of search operators. 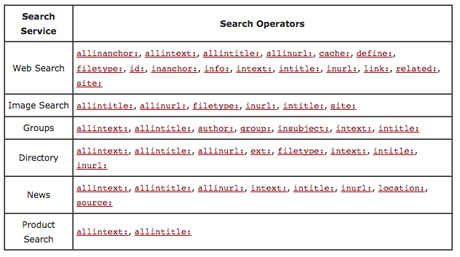 The site search function (e.g. "site:journalism.co.uk tools") is probably the most powerful here, especially when combined with other search operators like filetype: or inurl: to find information that might be locked deep in the rabbit's nest of a government website. Check out this guide from MIT and another from Moz for some detailed examples and think how they could apply to your work. As with Google, every journalist should have some basic understanding of the merits of Twitter for finding tips and stories, but there are some power tools out there that can do the hard work for you. Chief among them? Tweetdeck. Tweetdeck's main strength comes in being able to watch a large number of customised Twitter feeds, based on lists or searches. You can create your own lists of Twitter accounts around specific beats if you so wish, or follow those created by others and have them displayed together side-by-side to track the Twitter chat. 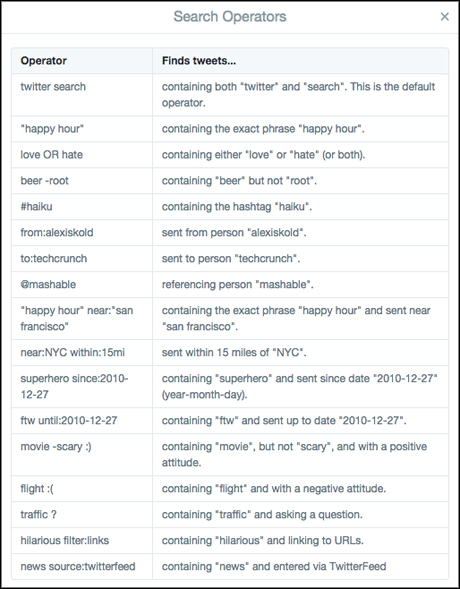 Twitter has a Google-style list of search operators as well, which can be combined to find niche corners of the 6,000 Tweets per second that could be the start of your next story. The Wall Street Journal's social media editor EMEA (and ex-Journalism.co.uk technology editor) Sarah Marshall has penned one of the most comprehensive guides to Twitter search out there and is worth bookmarking, sharing, printing off and, if prone to forgetfulness, tattooing on your forearms. It's that good. Check it out. As the first social newswire, Storyful has the inside track on finding stories around the world through social media, largely by building its own software similar to Tweetdeck but with automated alerts for keywords. There's a lot more involved in the full, paid-for service used by news organisations worldwide, but the Multisearch browser extension is a quick way to search for keywords across a handful of social networks. Echosec is one of a whole range of sites and services that have sprung up in recent years to help people search for geolocated posts on social media. In short, the free service lets you draw a shape around a certain area on a map and the software will return all the tweets posted to that location within a specified time period. Add the 'premium' service and Echosec opens up other social networks like YouTube, Sina Weibo and more. GramFeed is a good alternative option for freely searching Instagram, while the mobile app Banjo relaunched recently with a slicker interface, although its new focus on events may limit its relevance for quickly finding social media posts around you. Finally, if you have the budget, services like Geofeedia are used by news organisations all over the world for a really powerful geolocated search. 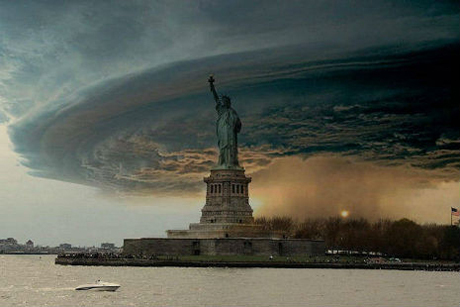 Unfortunately for reporters, one of the internet's favourite pastimes is making up rumours and faking photos. Are you 100 percent sure that image posted on Twitter is really of the flooding in Texas? Or the picture on Facebook shows people suffering in the heatwaves in India? Whole books have been written on various verification tools and techniques, but the first port of call should always be TinEye, which scours the web for the first time an image was used online. Check out Google's reverse image search as well, just as a back up, as some recent anecdotal grumblings allege TinEye isn't always as reliable as it once was. The vast amount of public and private data available in the 21st century is inescapable, and can hold the key to an immeasurable number of news stories and sources. 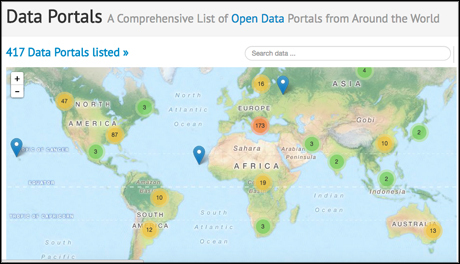 DataPortals is essentially a global database of databases, with more than 400 sources of data from every corner of the earth. However, not every country has strong open data laws, so don't expect full access everywhere. Google Public Data is also worth exploring as a quick way to access specific datasets from large global institutions as well. PDF files have traditionally been the darling of institutional research departments and the bane of a data journalist's life. Thankfully, public bodies in the UK now have to abide by the request to release information in a specified file type, but for everyone else who has to piece together PDF tables into a spreadsheet by hand: meet Tabula. Simply upload a PDF, select the relevant table and Tabula will do the rest, serving up the dataset to download and work with much more easily. Ok it might not be all that simple, PDF tables and datasets in general are regularly full of holes, spelling mistakes and formatting disasters that will quickly put an end to any attempts to assess the data. So DataWrangler will automate the cleaning process for you and even suggest edits to make data easier to work with. There's a handy video tutorial on the site to guide you through the process and, if you want to get more detailed, programs like OpenRefine and Overview are worth checking out too. Funny story: Glenn Greenwald received an anonymous email in early 2013 from a source wishing to discuss a potential tip, but only if communications were encrypted. Greenwald didn't have encryption. The source emailed a step-by-step video with instructions to install encryption software. Greenwald ignored it. The same source, a now slightly frustrated Edward Snowden, contacted film-maker Laura Poitras about the stack of NSA files burning a hole in his hard drive. Poitras persuaded Greenwald that he might want to listen, and the resulting revelations of government surveillance is arguably the story of the decade so far. The lesson? Learn how to encrypt your email. Mailvelope is a good option with a worthwhile tutorial for PGP encryption, the same as the NSA use, and Knight Fellow Christopher Guess has a great step-by-step guide for setting it up. A well-trained journalist with the right gear can now do the jobs of a whole team from the 1990s, and although you may not need to be a one-person news publishing machine, it's worth having a grip on some of the basics. 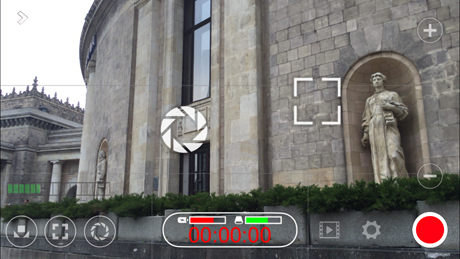 FiLMiC Pro is an industry standard for video on a smart phone, with a movable reticule to determine focus and exposure, sound meter, battery and disk space monitors, and more. 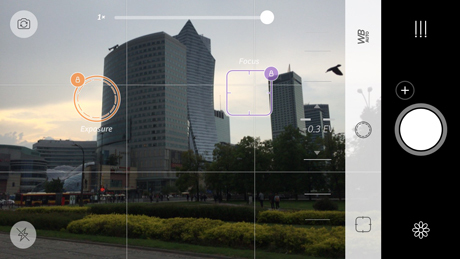 Just as with shooting video, a smartphone's native camera app is good but could be better. Camera+ has similar reticules options as FiLMiC Pro, more advanced exposure options as well as the kind of shutter speed and macro options you would normally find on a professional camera. The ability to livestream from a smartphone device has the potential to turn the world of broadcasting on its head, and Twitter's Periscope app quickly became the most popular platform around due to its smooth user interface and social media integration. It might not be the best for broadcasting but is worth getting used to the options available for livestreaming, for if Twitter is the first draft of journalism, as the saying goes, then Periscope could be the first draft of broadcasting. If you're looking for a more professional option Bambuser and UStream are both used widely around the industry. There are two reasons why people on work experience are often told to transcribe interviews by senior editors: firstly, it gives them an insight into the interviewing process from a seasoned reporter, and secondly, it's really bloody boring. For those of us without an intern to bother, oTranscribe helps to streamline the process. Just drop your sound file into the web app and start typing, using shortcut keys to pause, rewind or slow down the audio. 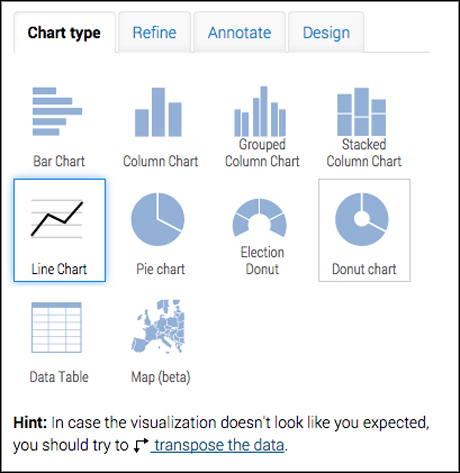 Because of the server-crushing demand for DataWrapper's graph and chart hosting service, users now have to pay if they want the option to embed these data visualisations, but for ease of use it is still worth exploring and you can download the graphs to use online. Once you've got the dataset you want to visualise, just copy and paste from the spreadsheet into Datawrapper, check everything is present and correct and choose the type of chart you want. There are options to tweak and customise the display, and more complex visualisations may take some more work, but Datawrapper can churn out a sharp, interactive chart that is ready to go in a matter of seconds. One of the Knight Foundation's many free storytelling tools, StoryMap.js does what exactly what it says on the tin, letting you embed text, pictures or video in a map and displaying the details as an accompanying slideshow. 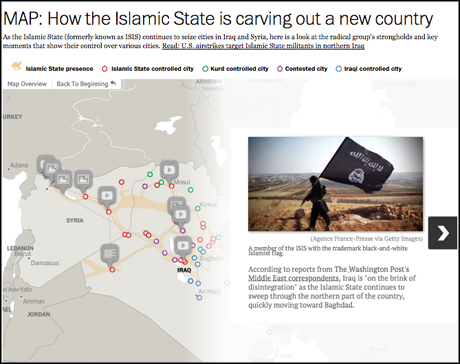 The Washington Post used StoryMap to great affect last summer to illustrate Islamic State's march through Iraq and Syria, but the software is free and easy to use for any situation where a story needs an extra layer of geographic context. Shorthand opened up their multimedia storytelling platform to freelancers last year, and the recent update to integrate social media has made it even more compelling. The ability to use fullscreen images and video give it the same visual appeal that made the Guardian's Firestorm so popular, but the interface removes all technical barriers to the process. Write your story, drag and drop pictures, link to videos or Soundcloud clips and Shorthand will do all the heavy lifting with the multimedia content. The software will now offer to schedule tweets using the images and chapter headings of your story when you publish, making the process of distribution even easier. GIFs have been an internet staple for as long as the software was available, but BuzzFeed have brought them into the publishing mainstream in terms of telling stories. It doesn't all have to be cats and reactions though (although they sure are fun), but GIFs can illustrate a quick segment of a story in the same way a video might, but in a less intrusive manner. 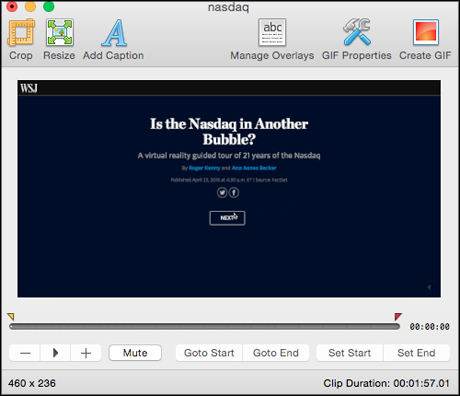 GIF Brewery is the tool of choice at BuzzFeed for creating GIFs, and all you have to do is upload a portion of video, trim it to the segment you want looped, set the properties (frame rate, speed, etc) and export. Like with any medium, it is worth exploring how others are using GIFs best to see how they might fit into your storytelling process, and remember to respect copyright or risk getting sued into oblivion. WhatsApp has more than 800 million users so far and according to Mark Zuckerberg, it will only be a viable business option once it tops 1 billion. Alright for some, I guess. But as well as a messaging app, WhatsApp is a great provider of push notifications for news organisations or journalists that might not have a custom-built app. 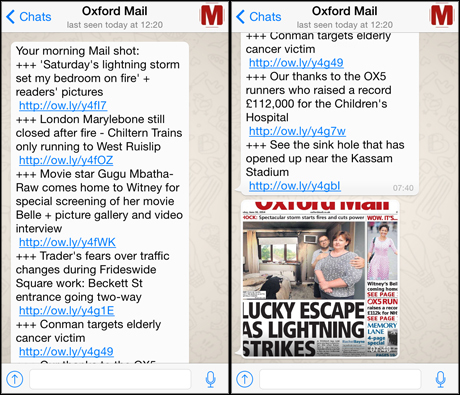 The Oxford Mail, for example, launched its WhatsApp service a year ago and delivers a morning and evening summary of headlines each day. Traffic updates, football scores and breaking news reports also serve to underline the Mail's WhatsApp channel as a service which provides readers with information they wouldn't get elsewhere. And not only is the WhatsApp news service popular when it serves a specific niche, but it can work as an avenue for readers to provide tips and stories. Definitely worth exploring if you have a particularly devoted readership around certain topics. When a lot of news organisations still rely on web traffic as a business model and see much of that traffic coming form social media, it helps to understand what may or may not be popular across social networks. BuzzSumo lets users explore the most shared content from various websites in certain time periods; trending topics for certain areas and the specific influencers for certain topics, with a range of add-ons included in the premium service. Well worth getting to know if you're an editor or freelancer looking to get an idea of what is popular among the readership of certain titles. With such a weight placed on 'engagement' as a concept in digital journalism now, but a contradictory level of despair attached to the cesspit of hate and nonsense in many comments sections, it is a wonder some community editors sleep at night. Quizzes, polls and surveys can all help to let readers vent their opinions and be involved in a story, while setting clear boundaries in how that engagement can take place. Riddle makes the process even easier by having set, embeddable formats that can be quickly completed and added to the end of articles. This article is based on a talk given at the Digital Journalism Days conference. Accompanying slides are viewable here and accompanying resources and links are available in this Google Doc. As always, feel free to recommend any other tools in the comments below.